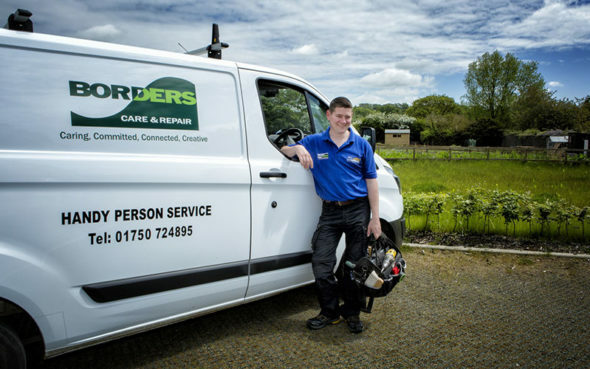 The Borders Care and Repair Service provides an adaptation service and handyperson service. 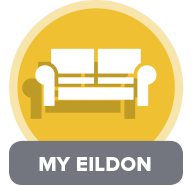 The service is provided by Eildon Housing Association together with Scottish Borders Council. Our team is based in Selkirk, and visits people in their homes throughout the Borders. All work is carried out by reliable tradesmen from our approved list of contractors. We can provide you with advice on funding that may be available to help with your adaptation. 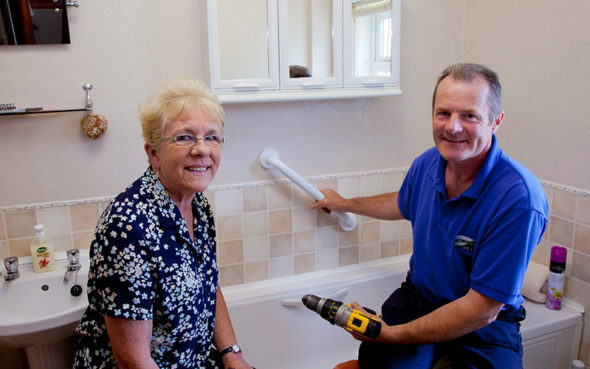 You can self-refer to our adaptation service. Please call us on 01750 724 895 or email us to find out if we can help. 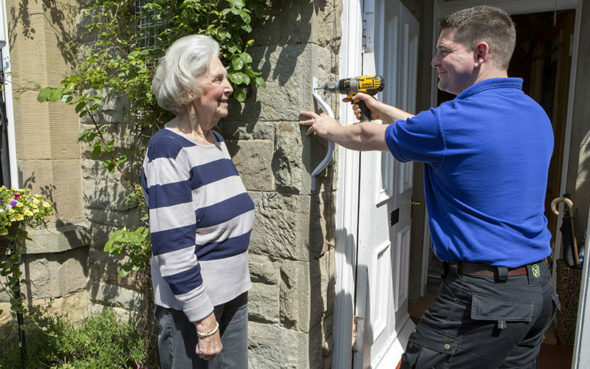 You can self-refer to our handyperson service. Your first visit is free of charge. After that, it costs £40 a year to subscribe. There is no limit to the number of visits. Please call us on 01750 724 895, download the application form or email us to find out if we can help. Do you belong to a group or club? If you’re involved in group or club for people over 60 or disabled Borderers, get in touch! We’re happy to come and meet your members, and give a talk on Borders Care & Repair services. Some groups like to organise a coffee morning or lunch, followed by our presentation. Whatever works best for your members! Please ring us on 01750 724895 or email us to discuss.